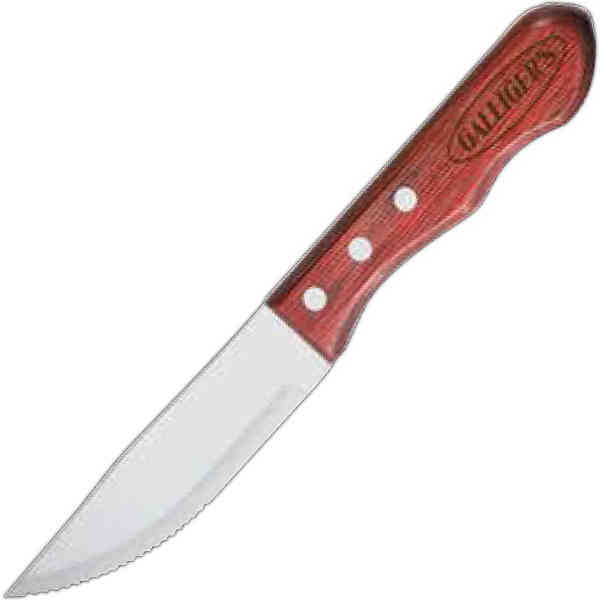 Packaging: Gift Boxes - Jumbo redwood handle steak knife with stainless steel blade. Knife is 10" overall. Note: Variations in the darkness and depth of the laser marking may occur due to the variation in color and contrast of the wood.